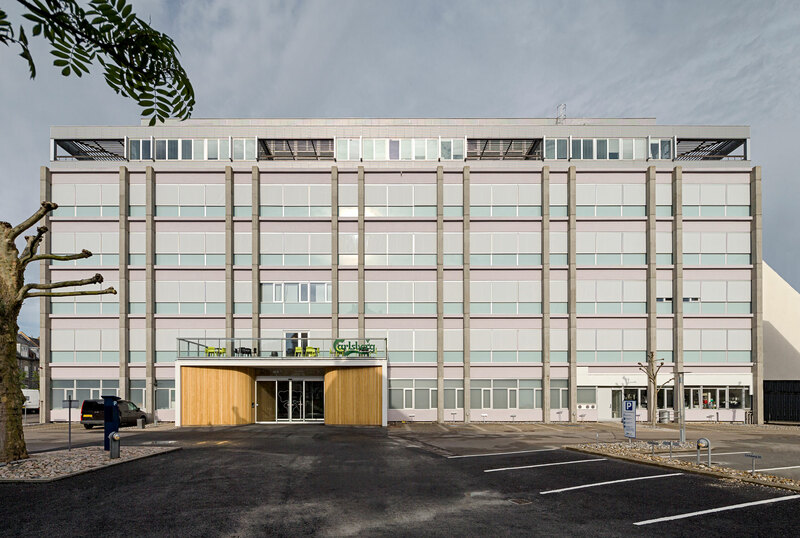 This five storey building was erected in 1974 with production facilities for the porcelain factory Bing & Grøndal and later converted for office use. For its renovation in 2012 new windows were created in the facade which was also given external insulation. 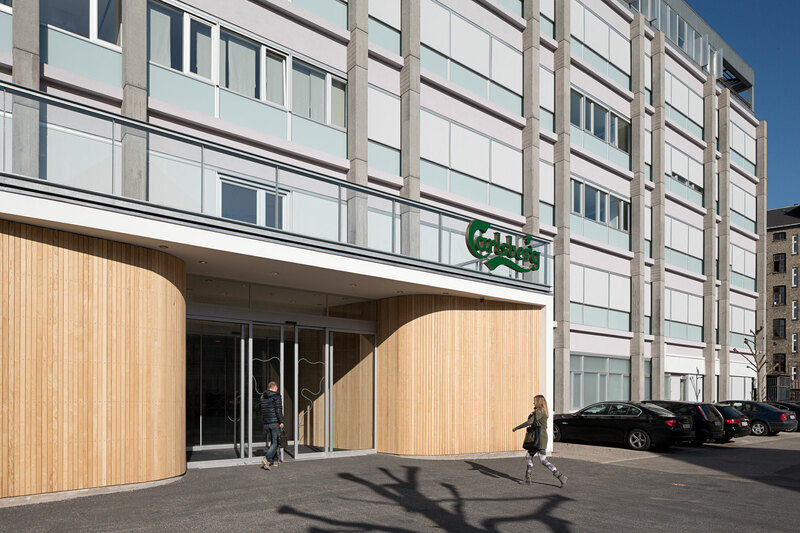 The building was for one tenant, Carlsberg Danmark and there was a requirement for a new main entrance. The entrance is a light steel construction with sides in plaster. 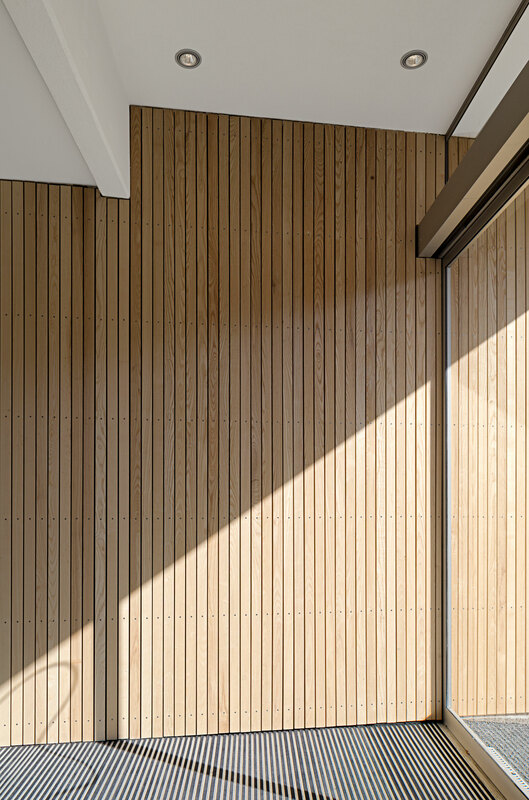 The front is a soft funnel shape with vertical ash wood facing that creates a sheltered and inviting entrance to the building.